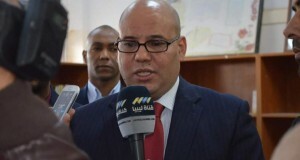 Presidency council (PC) deputy leader Fathi Majbri has condemned Faiez Serraj’s decision to allow Italian military vessels to carry out operations inside Libyan territorial waters. In a statement sent to Libya Herald, Majbri said that the Italian intervention was a violation of Libyan sovereignty. The action taken by Serraj did not represent the will of the Presidency Council. It constituted a clear violation of the political agreement and the Libyan-Italian friendship treaty did not in any way permit this type of intervention. There had to be an urgent meeting of the PC’s government of national accord to discuss “this great breach”, he said. He condemned the involvement of the Italian government, saying it was a move aimed solely at achieving political gain in an attempt to hold on to power. Majbri demanded the immediate cessation of Italian intervention. “Mr Gentiloni must realise that the relationship between the two countries is greater than the relationship of momentary governments,” Majbri said. Majbri, in his role as a member of the PC, has called on the international community and the UN Security Council to take action on Italian intervention. He also called on the Arab League and the African Union to condemn the move. Italy is currently a member of the Security Council. Majbri added he supported the decision taken by Libyan National Army (LNA) head Khalifa Hafter, who had ordered his forces to attack non-commercial vessels entering Libyan waters without permission – a statement that was a specific warning to the Italians. All Libyan forces, he added, should set aside their differences and stand united against what he said were attempts to “reoccupy” Libya. Despite his condemnation and his support for Hafter’s call for action against any unauthorised vessels in Libyan waters, Majbri has no intention of breaking with the PC. After issuing his statement, he was in Tunis yesterday in his role as PC financial overseer for a meeting on Libyan finances. It was organised by the US embassy which also invited fellow PC member Ahmed Maetig as well as both the governor of the Central Bank of Libya Saddek Elkaber and the head of the easter parallel CBL, Ali Hibri. Today, he was back in Tripoli along with other PC members to meet the new UN special envoy Ghassan Salamé.